In this world, billions come and pass away but only a few think, talk, act and dedicate their life to live a vision that is as broad and big as 'World Happiness'. 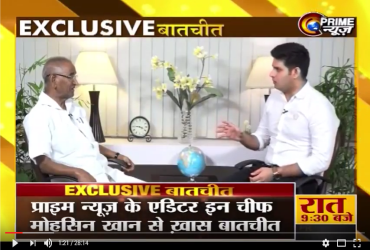 The world, fortunately, has on person who is rare and unique - Dr Jagdish Gandhi, a man who has persevered since 1959, hardly sleeping and dedicating his every breath for the mission - happiness of the people of the world. With this mission in mind, he founded a school with little means but great hopes and a powerful vision that one day his students will pass from its portals, carrying the ideals of world unity and world peace. 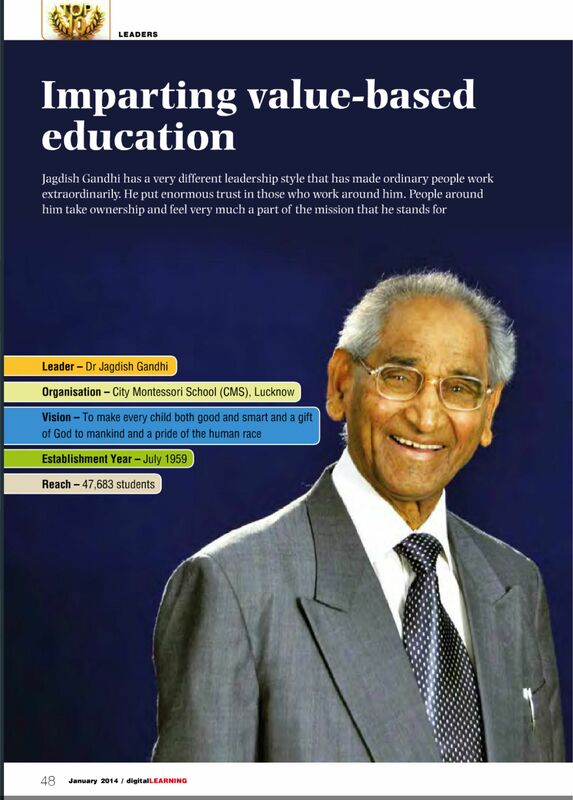 Dr Jagdish Gandhi is a renowned Indian Educationist and Founder of World’s largest School – the City Montessori School, popularly known as CMS, located in Lucknow, India. Dr Gandhi is a peace activist who has travelled globally and has been building bridges of unity and peace for more than five decades. For his long-standing contributions to education in peace, the United Nations awarded the prestigious UNESCO Prize for Peace Education for the year 2002 of US$30,000/- to his unique creation – the City Montessori School, popularly known as CMS, which Dr Gandhi founded in 1959 with 5 children and borrowed capital of Rupees 300/- (Less than US $10 at that time). The school is listed in the Guinness Book since 1999 as the World’s Largest School in a single city with the present enrollment of over 55,000 pupils for the session 2017-2018. 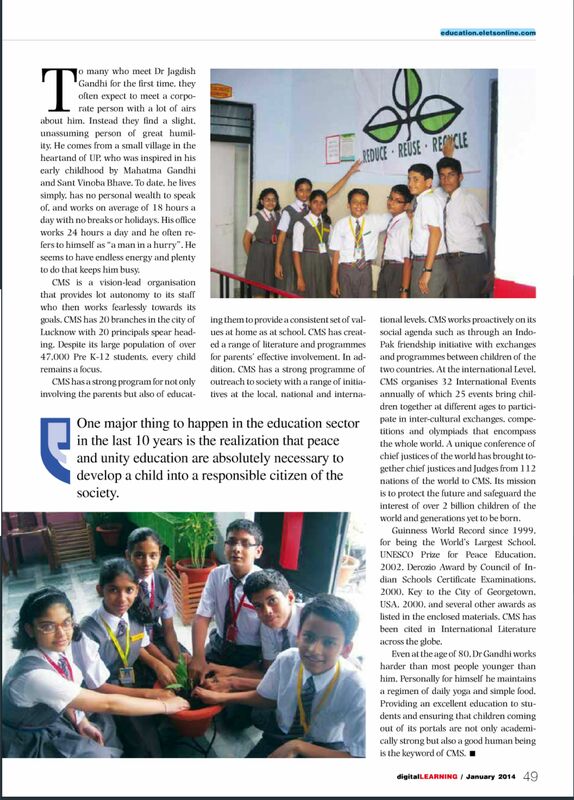 Dr Gandhi and his school have received several honours such as Key to the Georgetown (USA), Gusi Peace Prize, Philippines, Nuclear Free Future Special Achievement Award, Germany, and Changemakers’ Innovation Award, USA. 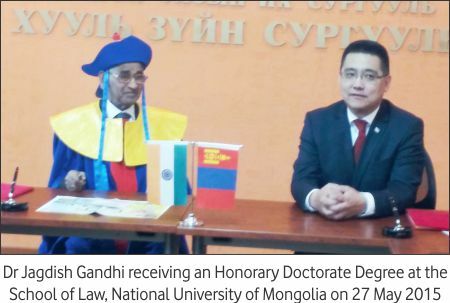 He was also awarded an Honorary Doctorate Degree in Education by Russia’s Bashkir State Pedagogical University in the year 2009. Click to above to enlarge article to read. To read article in PDF, click here. Mahatma Gandhi, said: "The future peace, security and ordered progress of the world demand a world federation of free nations, and on no other basis can the problems of the modern world be solved." said "Law and Order are the medicine of the body politic and when the body politic gets sick, medicine must be administered." a great socialist leader constituted, 'World Development Council', a step towards creation of 'World Government', with a view to establish peace in the whole world. said "Our goal, I repeat, should be the creation of a world government". Nobel Laureate in Economics said: “Mankind’s problems can no longer be solved by national governments. What is needed is a world government”. He also stressed that a strong veto-less United Nations is needed which can pave the way for the formation of a World Government.